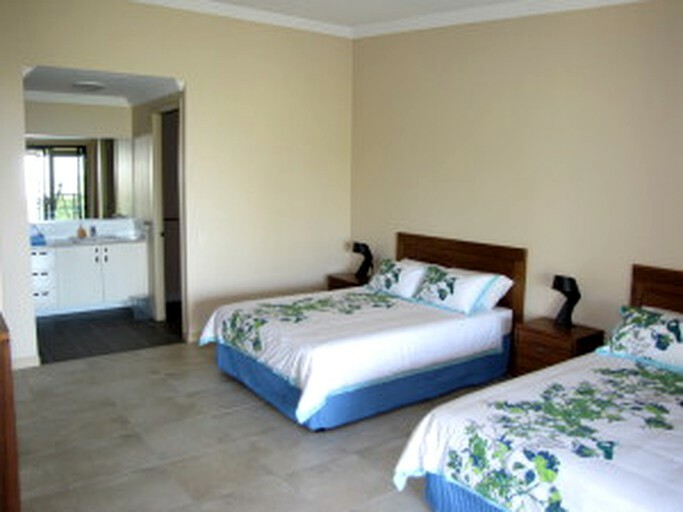 This luxury rainforest accommodation is located in Cairns, Queensland, Australia, and can accommodate four guests. There is a bedroom with an ensuite full bathroom. 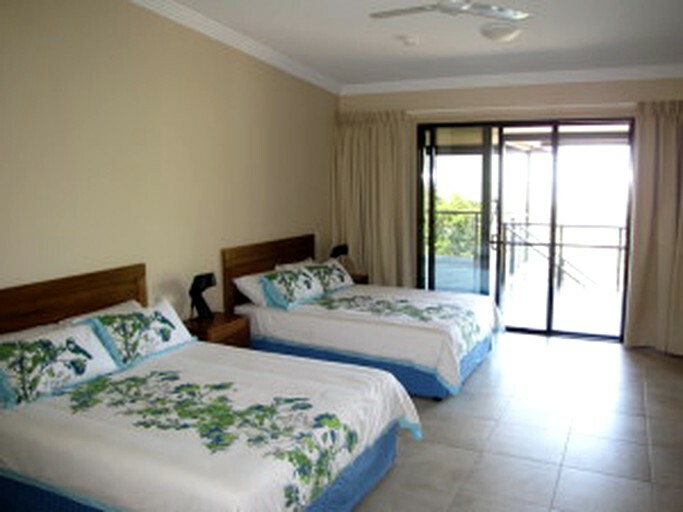 The spacious bedroom has two queen-size beds, large picture windows, a flat-screen TV, and direct veranda access. In the full bathroom, guests will find a sink, a toilet, and a walk-in shower. Linens and towels are provided. Other amenities include Wi-Fi, air conditioning, ceiling fans, a hairdryer, a radio, and parking. This rental includes complimentary Wi-Fi, continental breakfast, and parking. No matter the temperature outside, guests can stay cool with the air conditioning. 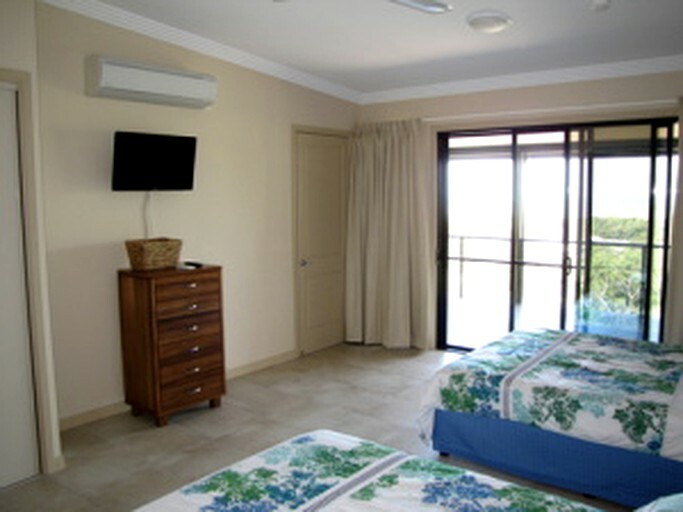 Each accommodation comes with a flat-screen TV with basic channels. In the shared lounge, guests will find a 55-inch HDTV with Foxtel and a collection of books and board games. Guests are welcome to use the microwave in the kitchen. Outside, guests can wade around in the solar-heated, mineral water swimming pool with an infinity edge or unwind in the luxurious hot tub. Without even leaving the property, guests can photograph and admire native birds, wallabies, and rainforest wildlife. Golfing enthusiasts will find Paradise Palms Country Club within three miles of the property. 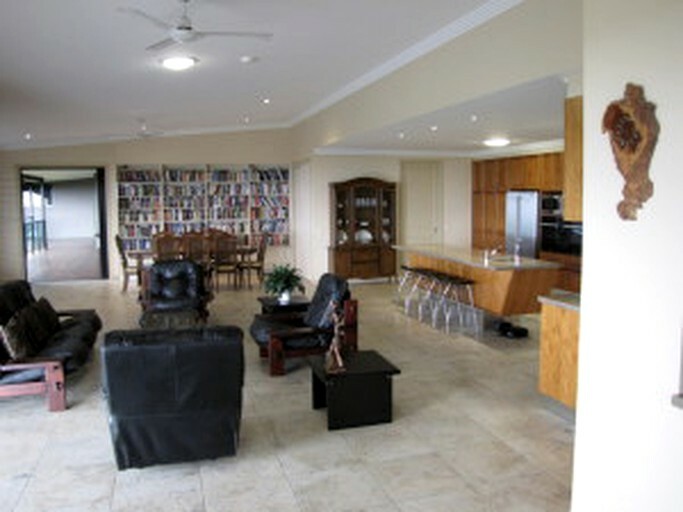 Guests can book sightseeing, hiking, and 4WD tours around the stunning Clifton Beach area. The crystalline waters are ideal for swimming, boating, fishing, and a wide range of water sports. Within a short distance, guests will also find shopping, dining, bike rentals, plenty of spas, and the zoo. Children must be at least six years old. 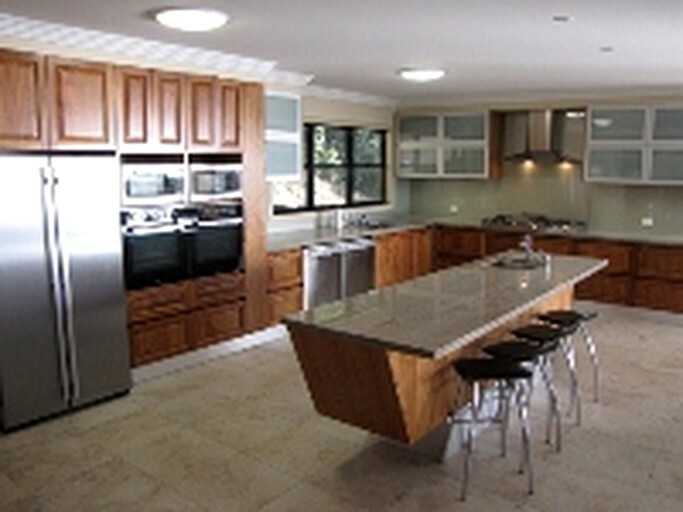 Cooking on-site is not allowed, however, guests are welcome to use the microwave and prepare foods such as sandwiches. There is a daily cleaning service and linens are changed every four days unless requested more frequently.